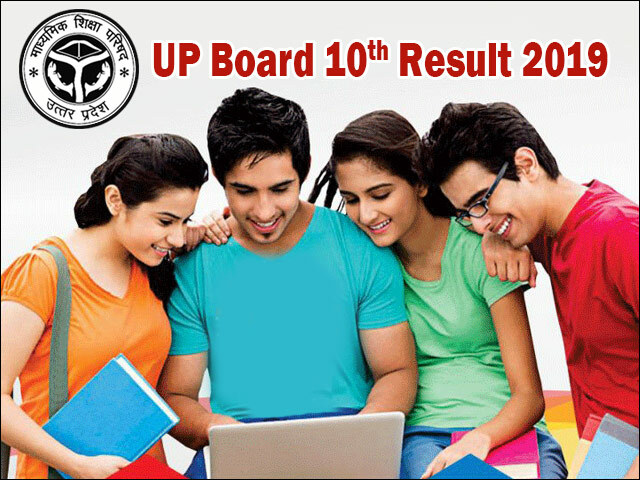 UP Board 10th Result 2019 - Uttar Pradesh Madhyamik Shiksha Parishad (UPMSP) is responsible for declaring the UP Board High School Result 2019. The UP Board exams are speculated to start from the first week of February, 2019. After the UP Board Class 10 examinations are over, students can expect the UP Board 10th Result 2019 to be declared in the fourth week of April, 2019. Last year more than 67 lakh students enrolled for the UP Board- 10th and 12th exam of which over 37 lakh students were registered for the 10th class exam. Students will be able to check their UP Board 10th result 2019 from this article, JagranJosh will be updating this article whenever there is a notification released by the board. Candidates are advised to keep a check on this page for any latest news and updates. Here we bring to you complete information on the UP Board Class 10 Result 2019 such as its important dates, procedure to access the result and what next after the results. Candidates appearing for the UP Board 10th class exam must be familiar with the important dates of UP Board class 10 result 2019. Candidates can check the UP Board 10TH Result 2019 important dates in the table given below for reference purpose. Jagranjosh will update the dates in case there is any change in the dates. How to check UP Board High School Result 2019? The UP Board will declare the UP Board High School Result 2019 on their official website. We will update the link in this article when the UP Board class 10 result 2019 is declared. With lakhs of students participating online to check their results simultaneously, there might be some delays in checking process for UP Board Class 10 Result 2019. Keeping this problem in mind and to provide the students the convenience of checking the UP Board High School Result 2019 easily, we would be providing the UP 10th class Result 2019 on this page. The results will be published as soon as they are made available by the board. In 2018, As many as 67, 29,540 students have enrolled for the exams this year. Of this, 37, 12,508 are for Class 10 and 30, 17,032 for Class 12. Since the UP Board 10th Result 2019 are yet to be announced, therefore candidates must go through the previous year stats to get an idea of the board exam. The table given below will contain the number of students who appeared for UP Board class 10th exam and the overall pass percentage of the same. What after UP Board 10th Result 2019? One of the most important tasks after checking the UP Board High School Result 2019 is download or take a print out of the result. In order to help students prepare for the upcoming admission season, we will activate the facility to take the UP Board 10th Result 2019 printout or download UP 10th Result mark sheets on our website. However, the students must keep in mind that this facility is only temporary and that a printed or a download copy of the UP Board Result 2019 is not an official document. This also means that the downloaded / printed copy of UP Board 10th Result 2019 will not be accepted for admission or any other official purposes. Therefore, the students are urged to collect the original UP Board 10th Result 2019 mark sheets from their respective schools. There may be instances where a student may feel he had done better than the scores obtained, in such case he may seek for re-checking/ re-evaluation process that is offered by the UP Board. The r-evaluation and re-checking are important aspects with regard to the UP Board 10th Result that a student must keep in their mind. In case the students do not feel that their efforts have been truly justified in the scorecard, they can apply for re-checking / re-evaluation of the answer sheets. In case there is any change in the final mark tally, the same would be updated in the original mark sheet. There may also be cases where a student unfortunately fails in the exams, he will be provided with another opportunity to prove himself. The student will be able to appear for the compartmental/ supplementary exam. The supplementary examination may be scheduled to take place in the month of June. The same will be notified here in this article and also by the board on their official website. Students are advised to bookmark this page for any update on the UP Board 10th Result 2019; they can also fill in their details on the link shared in this article to receive notification in regards to the UP Board Result 2019. The Board of High School and Intermediate Education, Uttar Pradesh is the primary body which is entrusted the job of management, monitoring and development of school-level education in the state. Popularly known as the Uttar Pradesh Madhyamik Shiksha Parishad (UPMSP), the board conducts annual high school exam for class 10 students and the intermediate exam for Class 12 students of the state. The board manages to provide the syllabus to the schools which are affiliated to it. At the same time, it is responsible to conduct the UP Board exams for both 10 and 12th class and to release the result for the same. The board regulates the activities of class 10 and 12. The students who appeared for the compartment or improvement examination 2018 can check their results at upmsp.edu.in or upmspresults.up.nic.in. After the successful completion of the UP Board Class 10th and 12th result season, the compartment examination has now begun. The Uttar Pradesh board class 10th 2018 datesheet declared on the official website i.e. upmsp.edu.in.